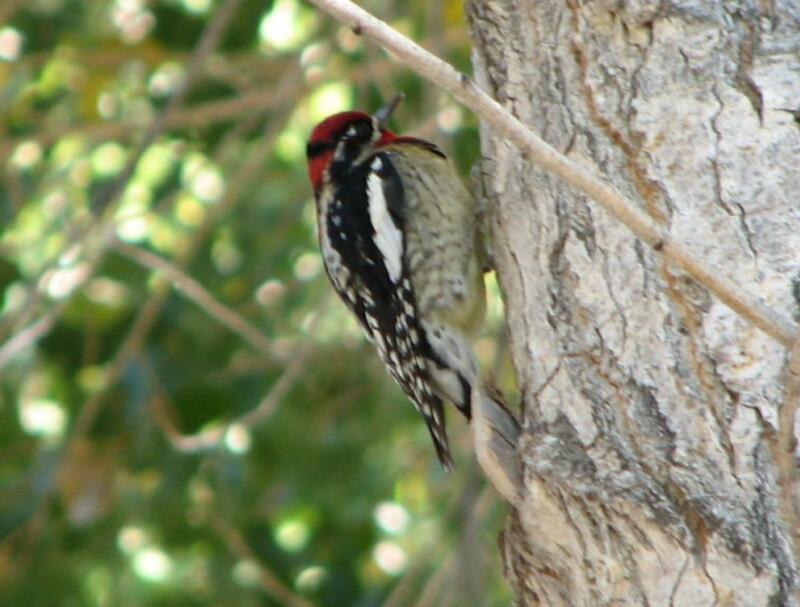 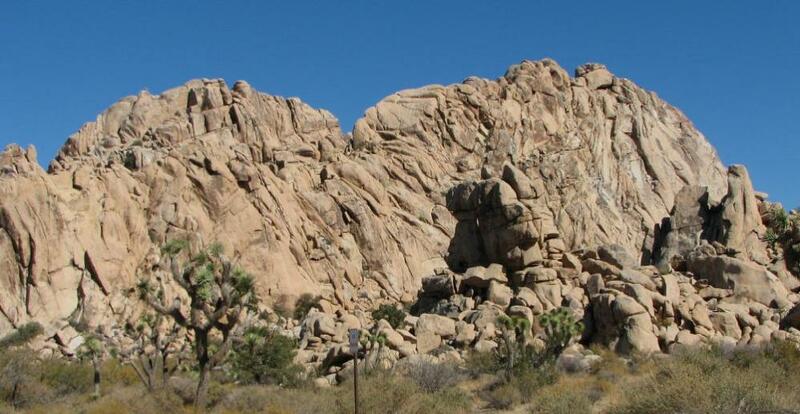 about 120 miles east of Los Angeles and about 20 miles northeast of Palm Springs. 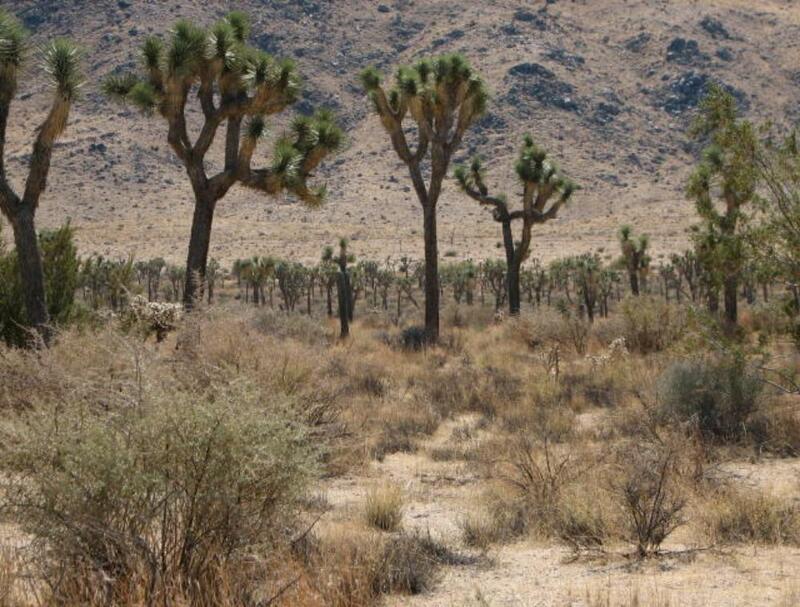 Center at the junction of Highway 62 and Park Boulevard for visitors to obtain park map and information. 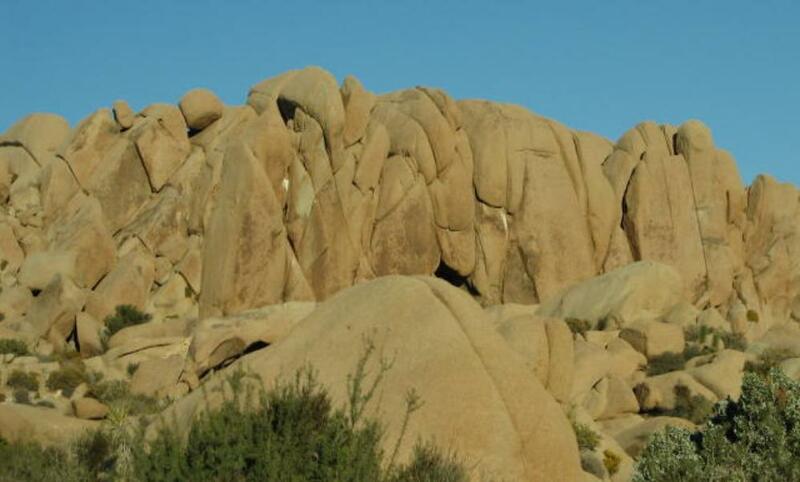 of a number of the unusual and beautiful rock formations and rock piles as shown on this web page. 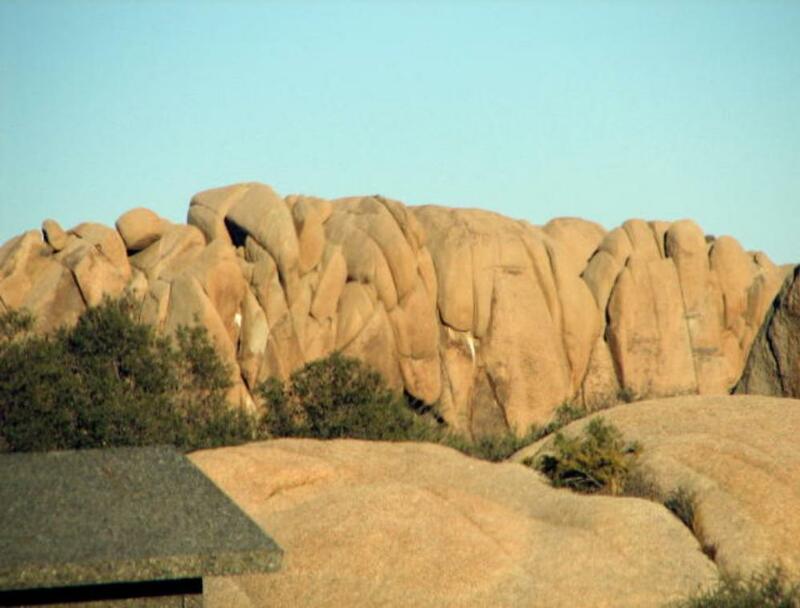 Many visitors come here for rock climbing or enjoyment of these fantastic rock piles. 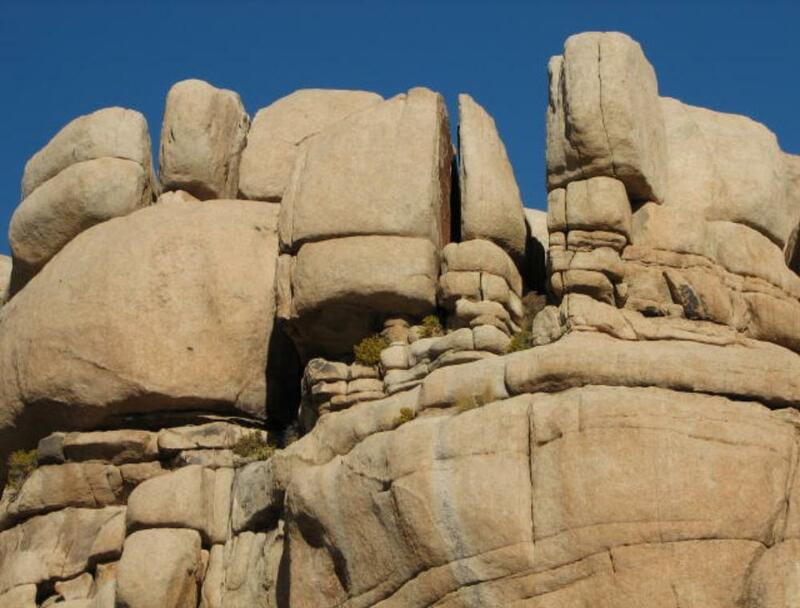 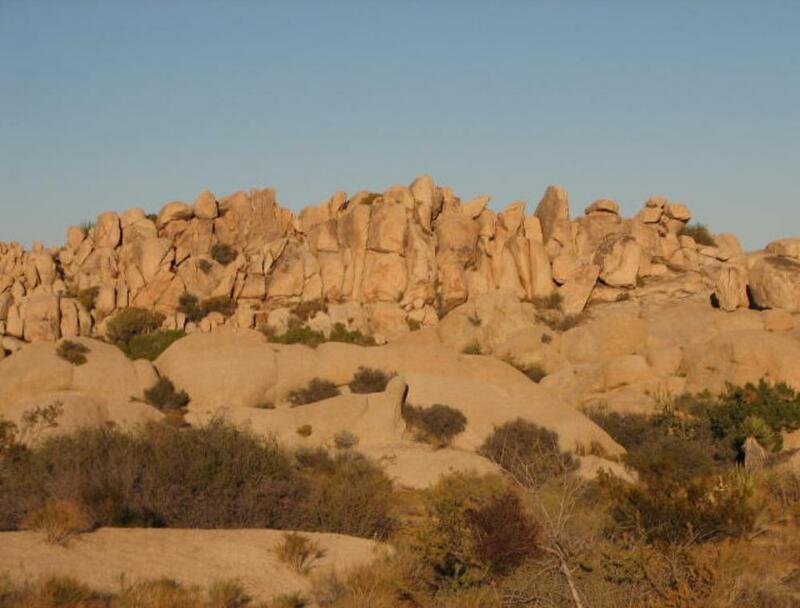 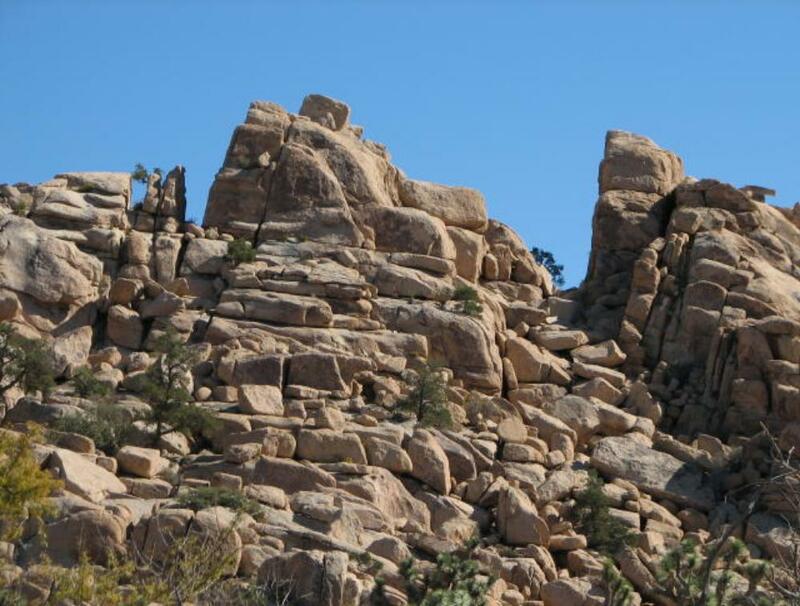 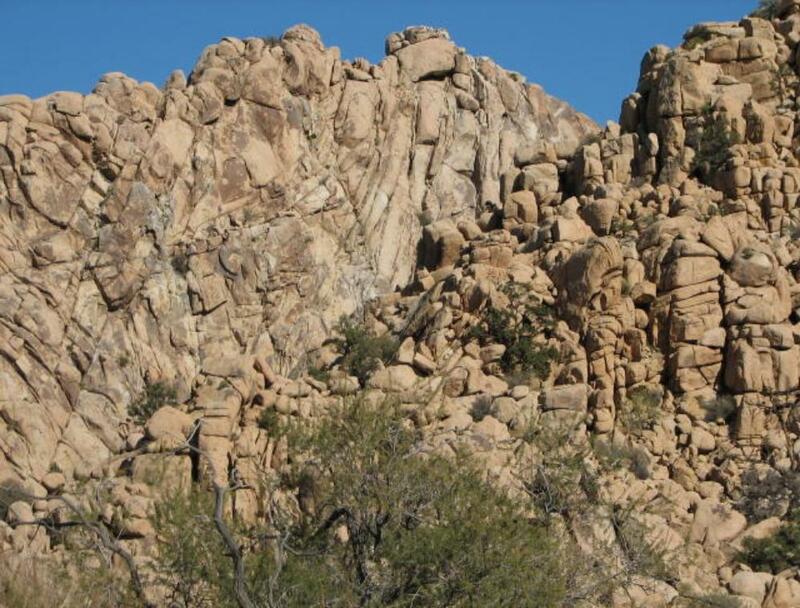 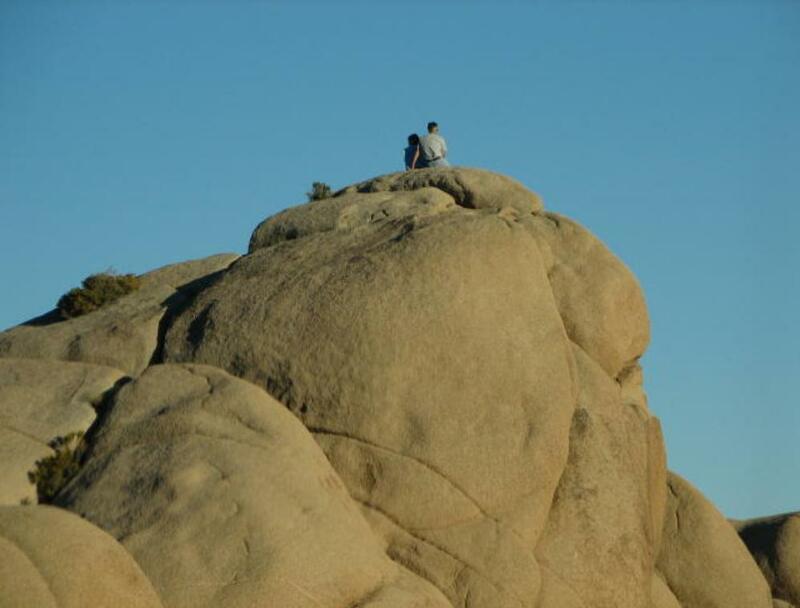 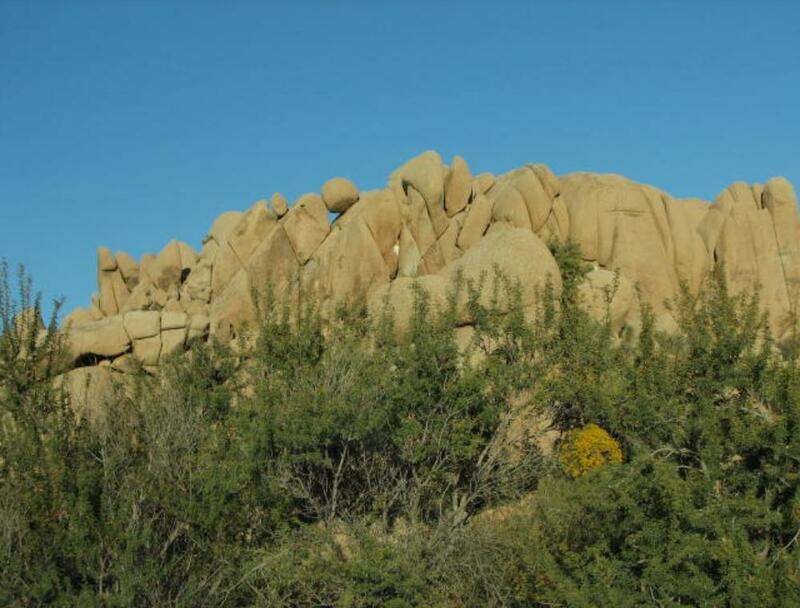 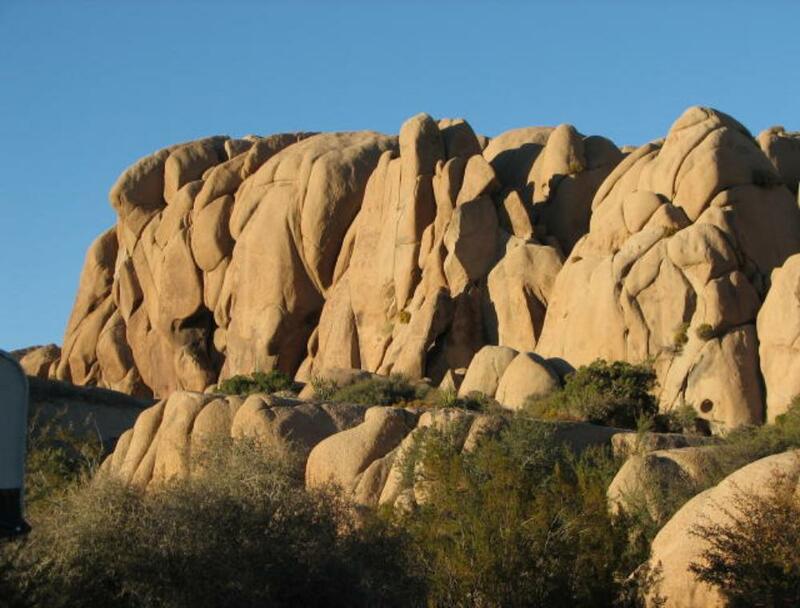 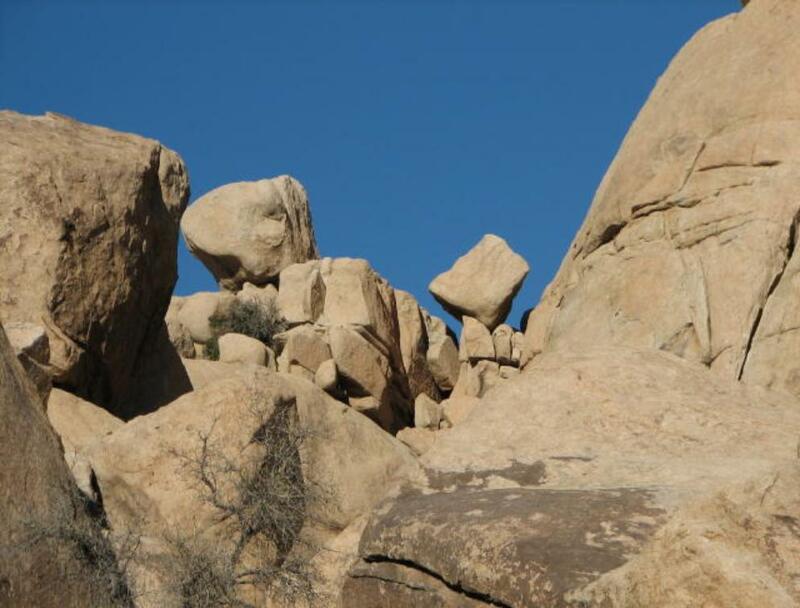 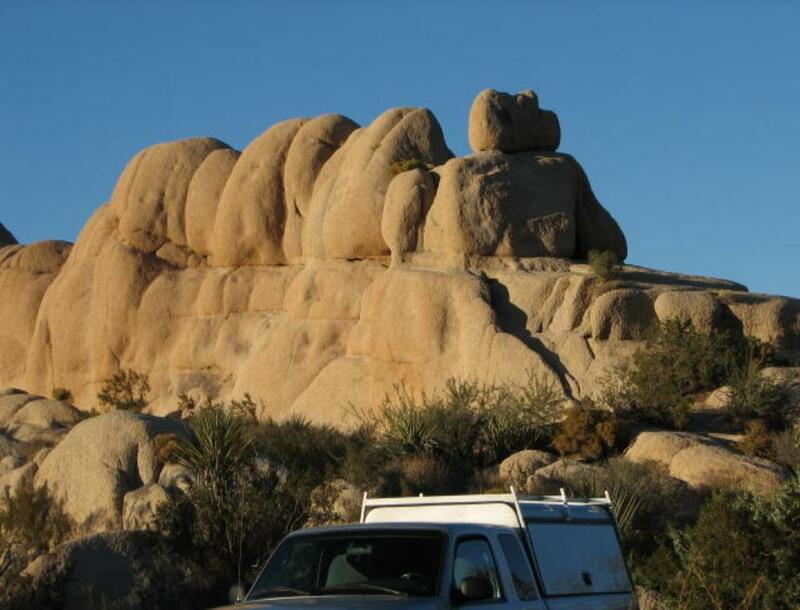 practice their skills on various rocks with different levels of challenges in Joshua Tree National Park. 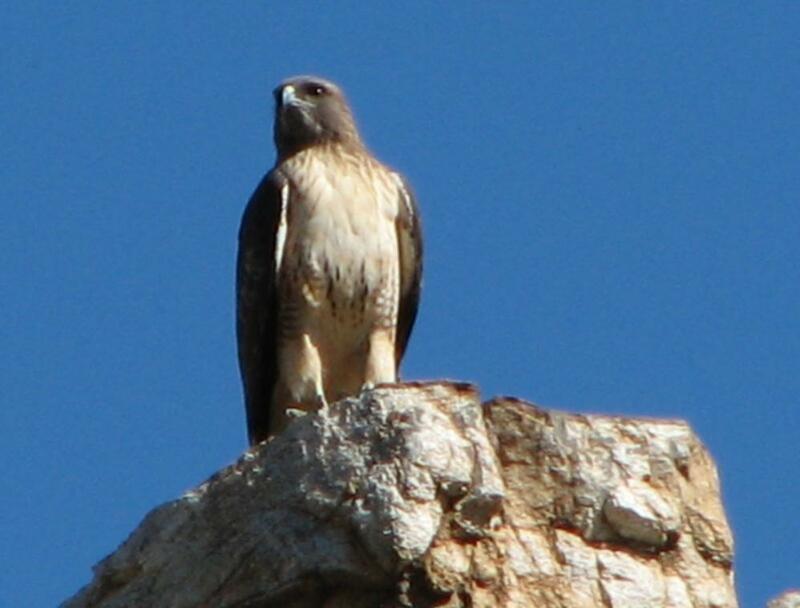 Park, for bird watching and saw this hawk above and a red-naped sapsucker in the following photo. 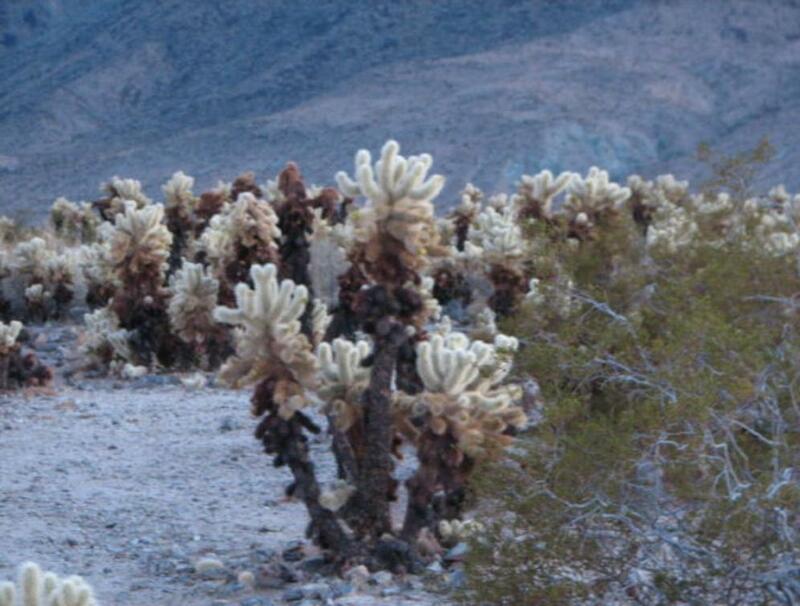 Chollas cactus in eastern lower section of Joshua Tree National Park. 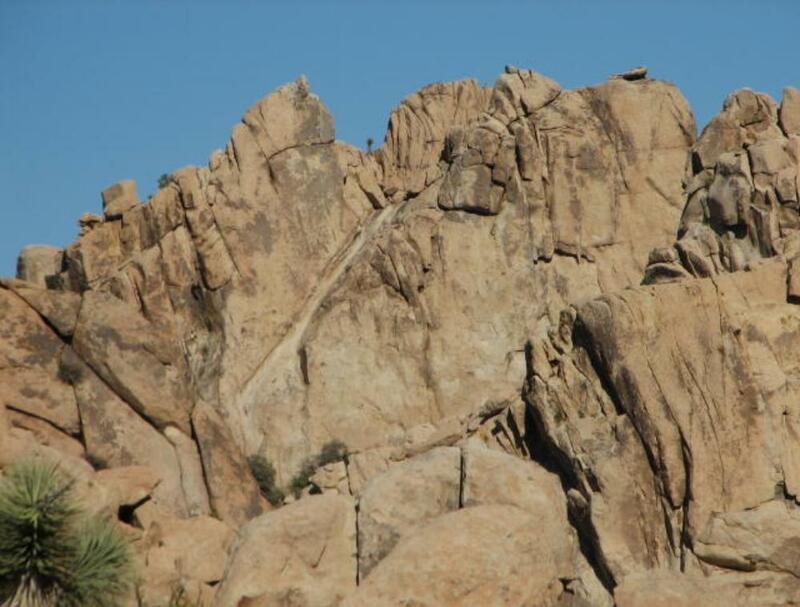 Fantastic rockpiles in Joshua Tree National Park.